Since the very first people looked up at a star-filled sky we have been awestruck by the vastness of the cosmos. Even today we remain humbled by the immensity of space, as we have become more aware of the tremendous distances involved — even to our closest neighbouring stars. Created by Garik Israelian, a researcher at the Institute of Astrophysics of the Canary Islands (IAC), the Starmus Festival is a combination of science, art and music that has featured presentations from astronauts, cosmonauts, Nobel Prize winners and other prominent figures from science, culture, the arts and music. ESO is a partner organisation of Starmus. Starmus was inaugurated by Neil Armstrong in 2011 and previous Starmus festivals were held in 2011, 2014, 2016 and 2017. So far Starmus has hosted 21 Nobel laureates, many astronauts, and musicians including Hans Zimmer, Brian May, Rick Wakeman, Sarah Brightman and Brian Eno. 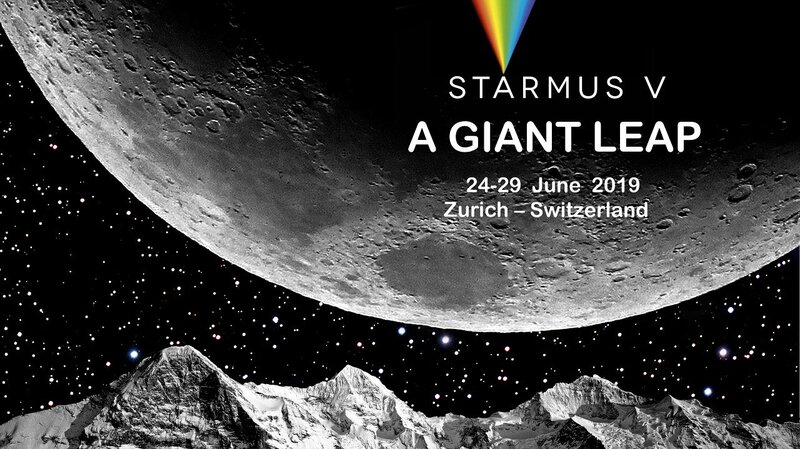 Now celebrating its fifth year, and timed to coincide with the 50th anniversary of the Moon landings, Starmus V will take place in Bern, Switzerland, from 24–29 June 2019. It is set to be the biggest yet — featuring Brian May, Emmanuelle Charpentier, Richard Dawkins, Elizabeth Blackburn, Chris Hadfield, Martin Rees, Jill Tarter and Helen Sharman, as well as at least seven of the original Apollo Mission crew. ESO's Director General, Xavier Barcons, and the President of the ESO Council, Willy Benz, are also among the confirmed speakers. Starmus V will welcome 11 Nobel laureates to the stage, as well as luminaries from the worlds of art and music, for discussion, debate and engagement across a broad body of science, from microbiology and biochemistry to astrophysics and neuroscience. 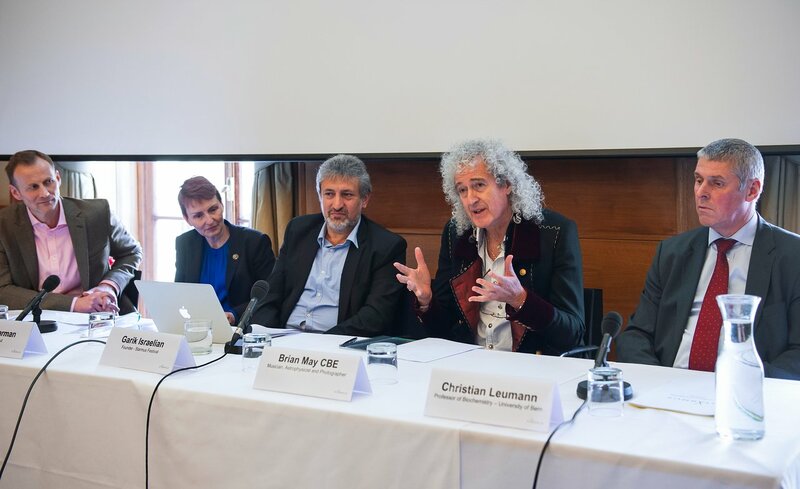 The Starmus board (comprising Stephen Hawking, Brian May, Peter Gabriel, Richard Dawkins, Alexei Leonov, Jill Tarter, Robert Williams, David Eicher, Jack Szostak and founder Garik Israelian) has devised a 2019 programme that brings together some of the most influential, creative and artistic people on the planet. The musical content of the Festival is also promised to be stellar. The Starmus board will announce the complete bill of speakers when tickets go on sale on 15 June 2018. For more information and to buy tickets visit www.starmus.com.